The XMM-Newton observatory (XMM stands for X-ray Multi-Mirror) is a telescope of the European Space Agency (ESA) dedicated to studying the X-ray cosmic radiation. Launched on December 10th, 1999 by an Ariane 5 rocket, XMM-Newton measures 10 m of length, 16 m large, for 4 m of diameter and weigh approximately 3,8 tons. It is the biggest monitoring satellite of ever sent into orbit. XMM-Newton is a satellite with an exquisite spectroscopic sensitivity associated with a good angular resolution and a large field of view. The observations with XMM-Newton allow to make progresses in the field of astrophysics such as the galaxy clusters, the supernova remnants etc. Left: Artist view of XMM (credit ESA). Right: One of the three XMM mirrors (credit ESA). Three French laboratories, coordinated by the French space agency (CNES), including DAPNIA, have contributed to the realisation of the XMM-Newton instruments and to their calibration. Dapnia has contributed to the EPIC camera, the main instrument of XMM-Newton and is also actively involved in the science data center to monitor the quality of the data from the instrument. Astrophysicists from the astrophysics division of Dapnia keep on exploiting the observatory by successfully applying for observing time to study, among others, particle acceleration in supernova cluster, galaxy clusters by themselves and as a tool to study the structuration of the Universe. Left: The MOS camera of the EPIC spectro-imager is one of the detection plan of XMM-Newton. It is made of 7 CCD sensitive to X-ray radiation (credit ESA). Right: Map of the X-ray emission of the remnant from the explosion of the supernova SN1006 as observed with the XMM-Newton satellite (credit CEA/SAp). 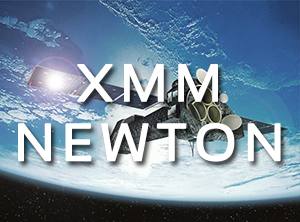 The XMM-Newton mission is now expected to be in operation until at least 2020.